Drift Off Bath Soak is infused with a tension-easing and calming scent, using midnight flowers and lavender oil, that is said to leave skin feeling soft and the mind relieved of stress. It will retail at £12 for 500ml. 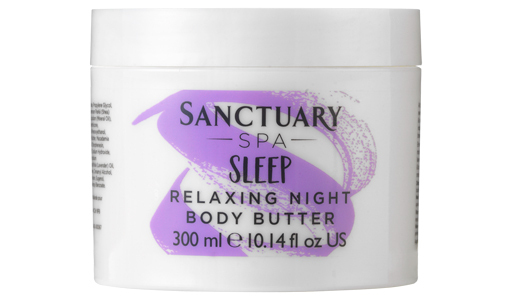 Relaxing Night Body Butter boasts a fragrance of jasmine and ylang ylang and uses sweet almond oil and calming lavender oil to help both body and mind unwind. The company says that it works while 'you snooze', waking to softer skin and a relaxed, refreshed mind. It will retail at £11 for 300ml. Finally, there is Dream Easy Pillow Mist. Scented with sleep enhancing midnight flowers and lavender oil, it should be lightly spritzed onto a pillow to help the user drift off. The travel-friendly 'calmness in a bottle' is said to help the user to wake feeling reset and refreshed. It will retail at £8 for 100ml. The three products are exclusive to Superdrug and go on counter this month.